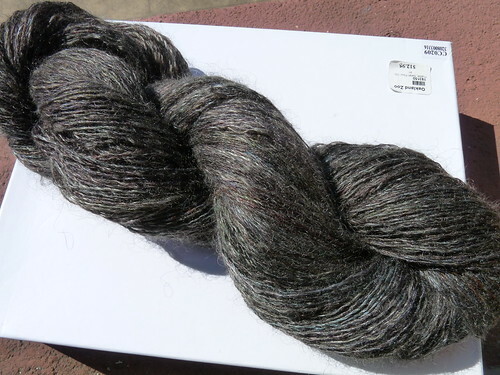 this is absolutely stunning -- can't wait to see what you knit with it! Wow, I was waiting to see this and I'm not disappointed. I'd never be able to do that or even think of the concept! my, that's lovely! Thank you so much for sharing your technique in such detail, I really appreciate it. 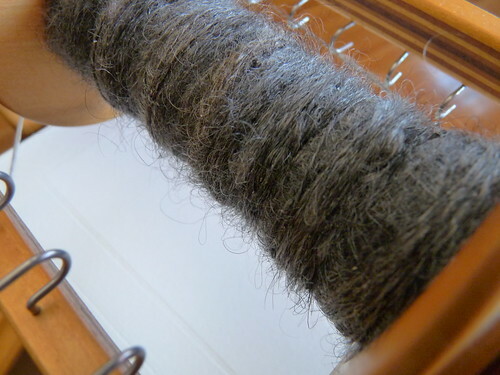 Luv that yarn...I have a pound of grey adult mohair and it's really lovely but not as soft as yours must be. Still haven't decided what I will blend it with. Thanks for the mini-tutorial! 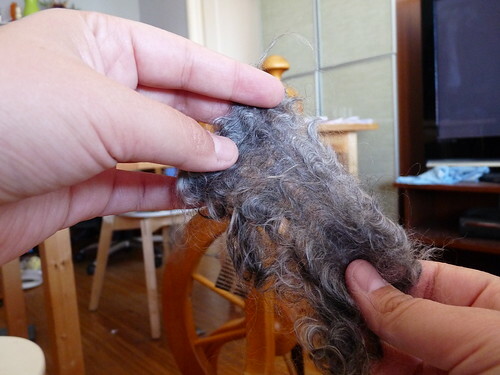 I have the same issue with spinning locks over the fold, so I might have to try this with some of my regular wool. The yarn turned out beautifully, too! Ha! 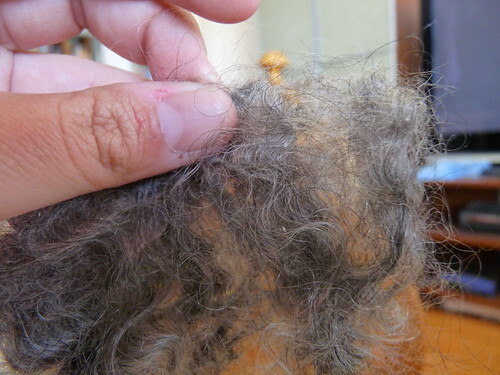 That attenuation thing is exactly what I did when I spun my first (half) fleece. 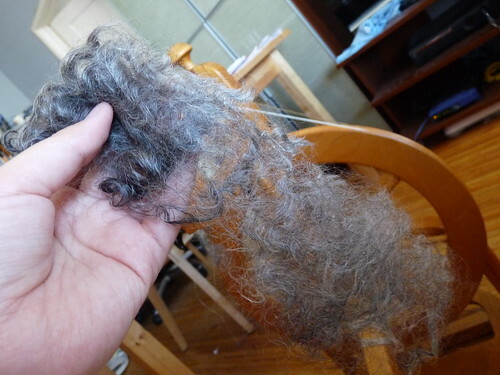 I wondered why the resulting yarn was so hairy. 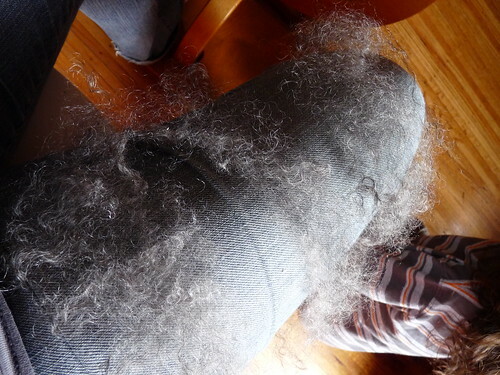 It was unexpected, but not in a bad way, since I intend to make a Bohus-style yoke cardi out of it, and the fluff will help blend the colors. I'll add my thanks as well! 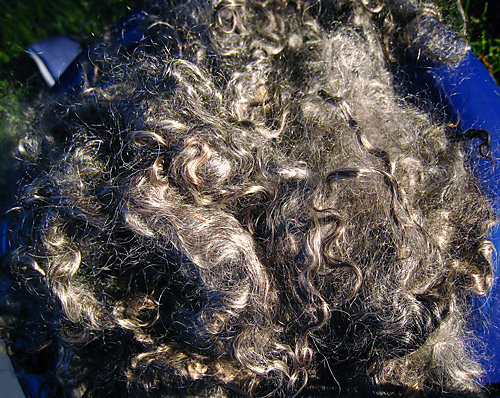 I have half a dozen tiny bags of mohair locks that I've been wondering what to do with. Your photos and description of the process are very helpful. 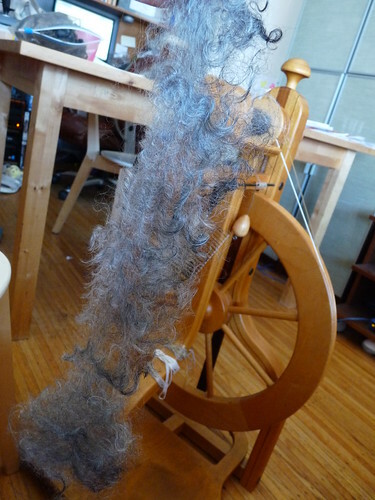 And though I'm not the biggest fan of mohair, because of the itch factor, I bet that silk makes that yarn softer than soft. It is just beautiful yarn. Wow, that's gorgeous! 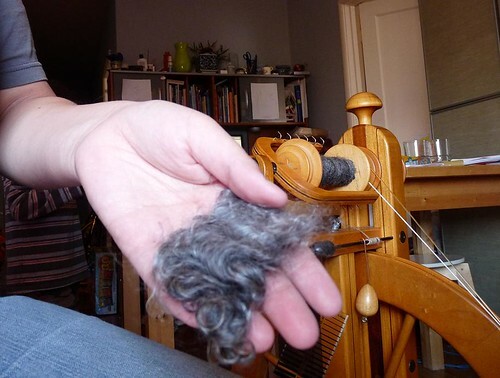 What ever you knit with it will be amazing. 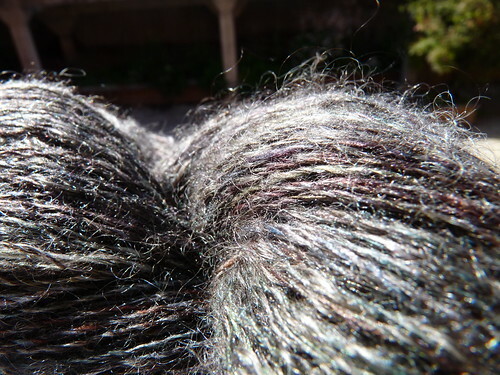 That's beautiful work, and I'm so pleased to see the silk accent the gorgeous mohair so well! I drool for this yarn! Becky just told me that you're up for an S award!(!!!) Stunning. I sincerely hope you get it. Hugs and kisses. That's beautiful! 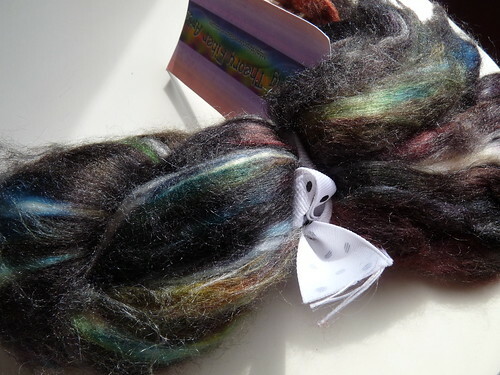 I'm thinking of making myself sort of an imitation Kidsilk Haze for a specific project which calls for two strands held toghether, so I was gonna do exactly what you have, with three slightly different shades of fleece to give it the depth of colour required for the pattern. This is incredibly helpful and beautiful, thank you so much! 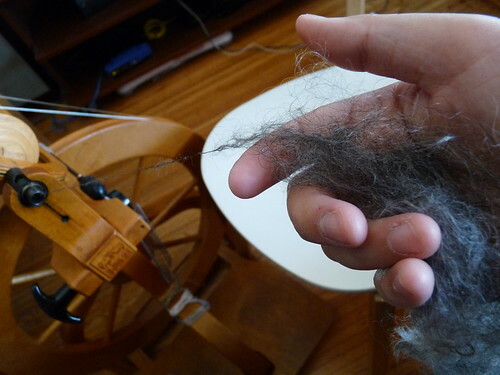 Loverly yarn and the pictures help me with my first go at spinning mohair.